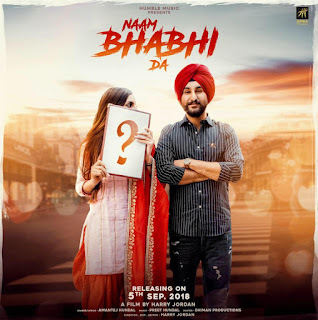 this latest song presented by humble music and sung by amantej hundal.naam bhabhi da lyrics is very romantic song with a high level energy you can enjoy a lot when you lesson this song. if you enjoy this song we feel glad and if you found any mistake in naam bhabhi da layrics please tell us in comment we will try to update. and don't forget to read out this stuff.